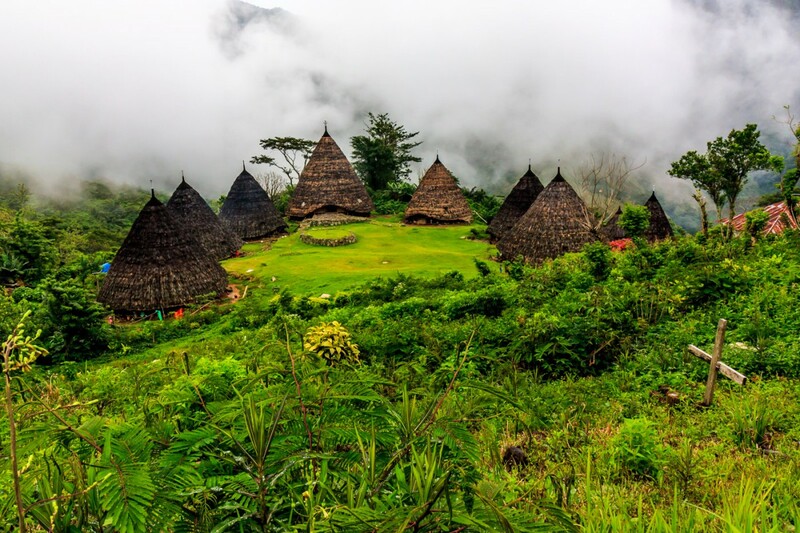 Getting to Wae Rebo was a challenge. But it was worth it. 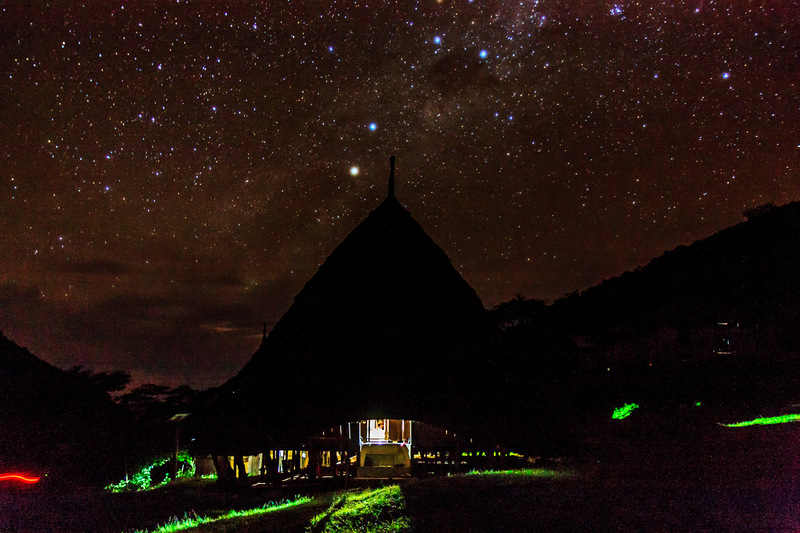 Here I would accomplish my goal of spending the night in a traditional village. 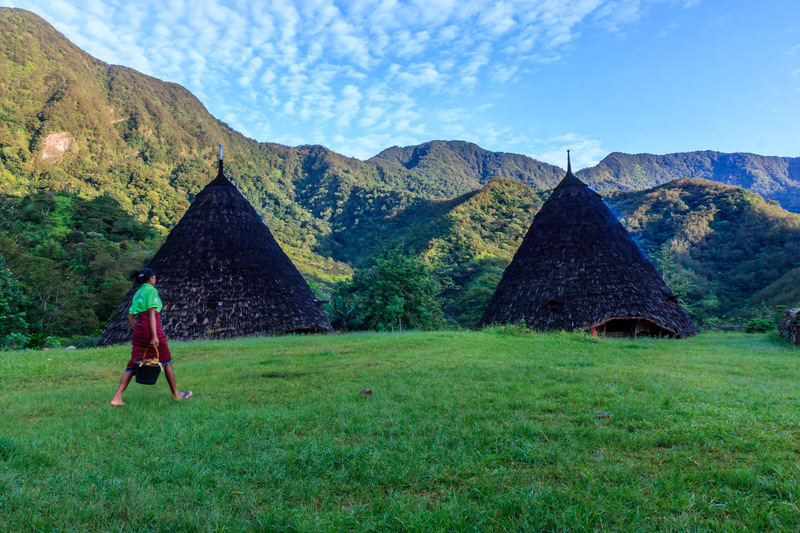 At the end of the strenuous three hour hike up the mountain in the rain, the incredible conical houses of Wae Rebo came into view. It’s hard to believe people live here. The village is so isolated. No roads lead to in, not even for motorbikes. The only way to reach it is the long hike up the mountain. 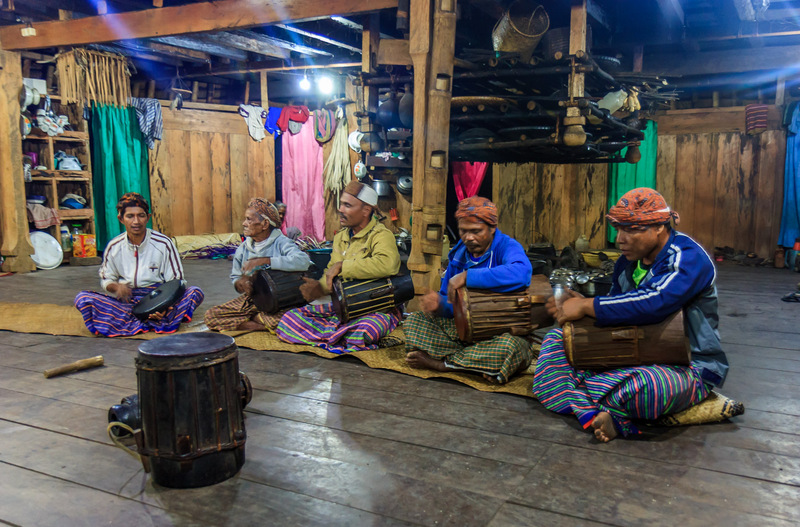 I gave my porter the Rp 50,000 he wanted, and he performed a traditional drum ceremony. We walked down into the village, and I dropped my bag in the house dedicated to visitors. Other visitors were the Indonesians from the SUV that kept passing me on my drive here, an Indonesian TV crew, and the intrepid French couple that hiked up on their own. My porter took me to the chief’s house. The chief said some things, then engaged my porter in witty banter. I couldn’t understand a word they said, but figured it must have been humorous because the old ladies working in the back of the room kept laughing. They joked too, and the chief and my porter laughed. 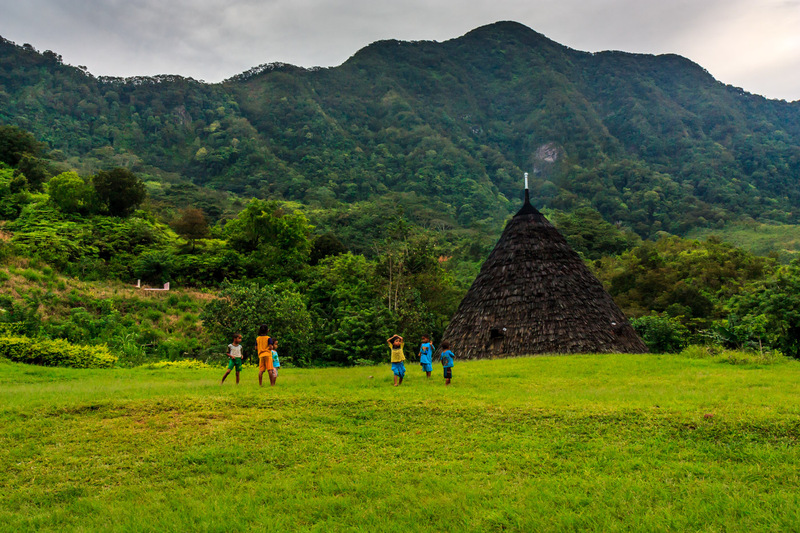 Children play near one of the traditional houses. Then I was free to explore. 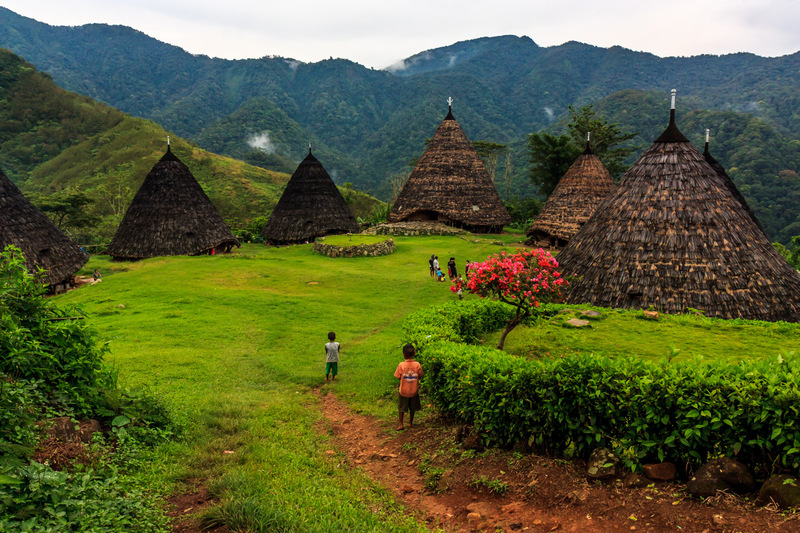 Wae Rebo is tiny, with only a few houses, so there’s not much exploring to do really. But I had fun doing photography while the light changed. They served a simple dinner. The TV crew staged a scene where the star acted like she was coming in from a hike in the dark. They filmed her asking the three bule what their favorite Indonesian foods were. I appear six minutes in. The stars came out at night. It was quiet and peaceful. As I laid down to sleep on the simple mat provided to me, I could hear drums and music. We all headed to the chief’s house, where local men were giving a stirring musical performance. I don’t think they normally do this. I was lucky to be here while the TV crew was filming. In the morning I photographed the sunrise, then ate the basic breakfast. After eating it was time for the long walk down, then the long drive to Labuan Bajo. 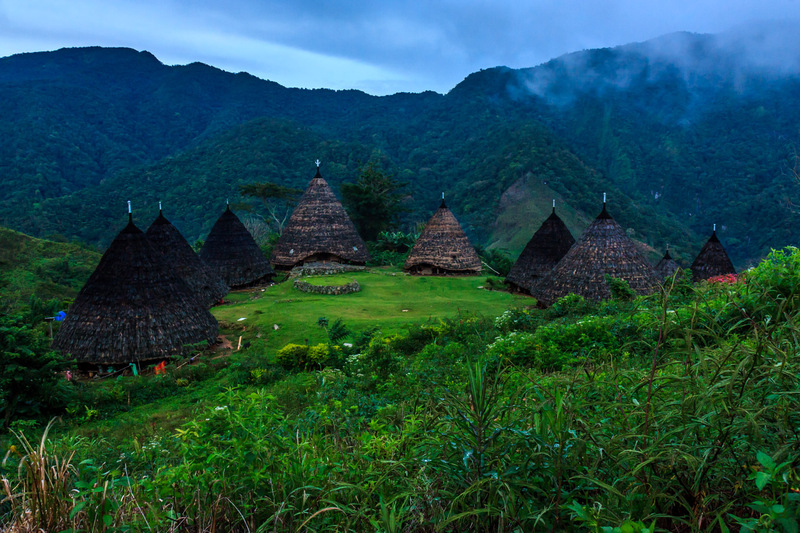 Wae Rebo was an incredible place. Truly one of the best places I visited in Flores. Noni, the star of the TV show, sings with the kids. 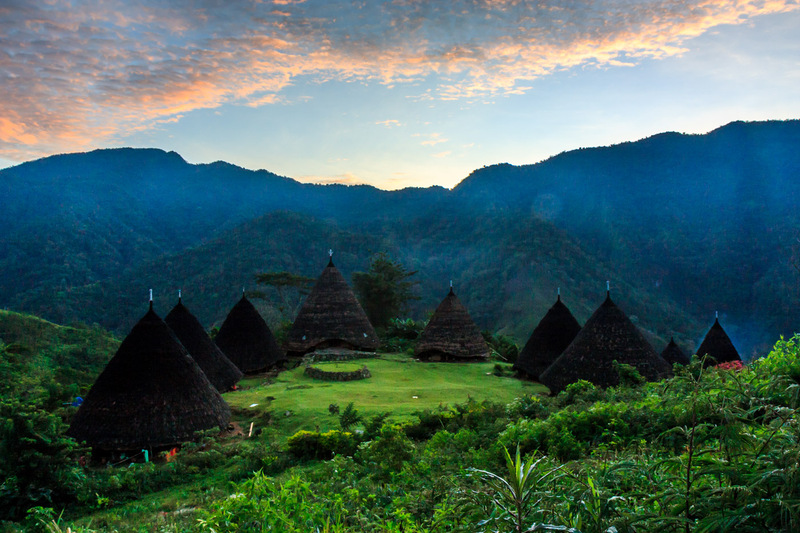 Evening comes to Wae Rebo. After the sun went down, the stars came out. Wae Rebo in the morning. As soon as the sun is up, villagers are busy working. it would be awesome if you put all of the manual settings info in with you photos. Hi Andrew, I honestly don’t pay much attention to settings. I just put my camera in aperture priority mode, set the aperture to f/11, expose for the sky, and let the camera pick the shutter speed. I check the histogram to make sure it’s not under or over exposed.